After all these mostos and manzanillas I really felt like a fino tonight and I had a particular reason to choose this one by Primitivo Collantes. The reason? Well, when I tried the Fino en rama I found it if anything too lively, bulky and vigorous. However, the mosto from this same vineyard was for me (and many others) the standout wine of the Pitijopos, big and juicy but compact and elegant fruitful mouthfull with real personality. This is a fino from fruit grown on that same Finca Matalian vineyard. The vines are only 8km from the sea and the harvest in this area is the latest of anywhere in the sherry triangle, starting in around the first week of september. These grapes have been manually harvested and separated, and while the pitijopo was fermented in wood this was fermented in inox then raised under the flor in criaderas/soleras for 5 years. It is a lovely light, clear gold colour – less of a yellow green than the en rama, certainly – and the nose is immense. It has real sea air/ozone saltiness, yeast and nuttiness behind, and although you wouldn’t compare it to the mosto in terms of fruit there may be just a trace of apricot jam at the back. 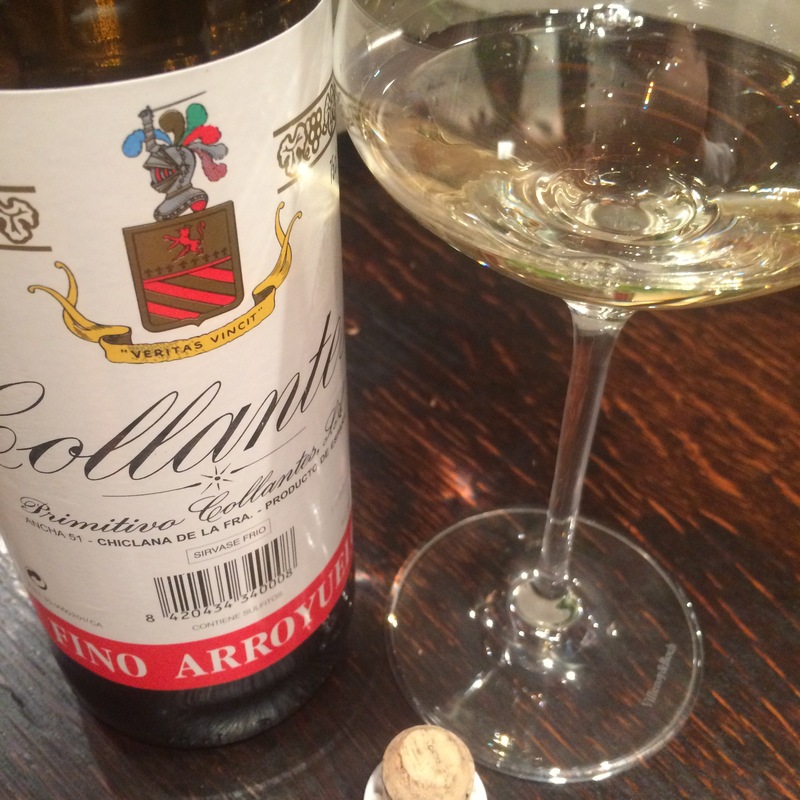 It is big in the mouth too, but while the mosto was syrupy this has massive salinity and minerals. The salinity gives it both intensity and zing on the tongue and the bulky volume of seawater. Maybe if anything it is a little too intense and overwhelming – a little too much minerality and volume and not enough fruit. You know tasting that 18 months wine is as easy as traveling to the winery and asking good boy Primi to take some from the barrel? Yes, I guess you know that. Yep I am sure – but getting down to the winery isn’t all that easy! Will have to organize a trip soon though. You will of course be amongst the first to know when it is on.